Analysts at both ANZ and Goldman Sachs say the price of iron ore will drop by at least $US10 per tonne before the end of the year. Benchmark iron ore to China sat at $US60.60 per tonne overnight, but the big bankers predict a fall. ANZ says it will hit about $US53 per tonne in coming months, while Goldman Sachs foresees iron ore averaging $US49 a tonne in the third quarter. “Rising supply from Brazil and Australia, which in aggregate account for 80 per cent of seaborne exports, together with subdued demand from Chinese steel mills will once again shift the balance of power from producers to consumers,” said analysts Christian Lelong and Amber Cai. It has been a shocking run for iron ore exports, which started 2015 at a value of $US71.26 per tonne after losing 47 per cent of its value in 2014. 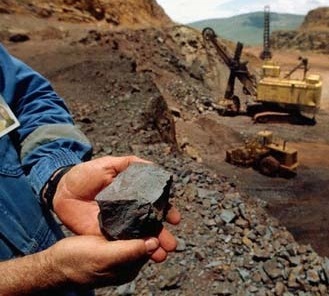 By April 2, iron ore traded at a record low of $US46.70 per tonne, which saw operations shelved and thousands of jobs cut. By June 10 the commodity hit $US65 per tonne, and then slid down almost 7 per cent in the next 12 days. ANZ says its forecast is strongly influenced by new data out of China showing construction activity has weakened. “Despite house prices stabilising and even picking up in some regions, construction activity in China has remained muted. Floor space of newly started housing projects is current down 16% y/y (Jan-May), compared with a fall of 10% in 2014. With a strong build-up in housing inventory over the past 18 months, and the northern hemisphere summer fast approaching, we expect steel demand to remain weak over the next few months,” the bank said.